Pashmina is a wonderful blog theme for fashion-related websites. An ideal selection of feminine colors and intricate design elements to lure in new readers and community members. 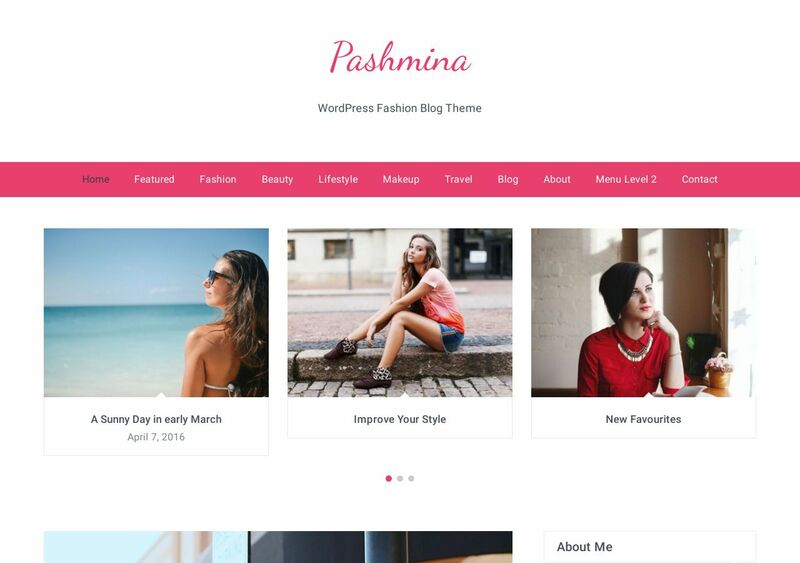 Indeed, unlike standard blogging themes — Pashmina adds a creative touch through featured posts, custom-designed meta display, and pixel-perfect alignment of typography. It’s so easy to underestimate the power of typography and how it affects readability. So, we’re happy to let you know that Pashmina emphasizes the necessity of good typography with utmost importance. Once readers open up a new post, they find themselves in an easy to scan and read environment. Nothing feels like it is out of place or has a destructive effect on other design features. Besides, if you feel that the Pashmina theme is lacking in something — you can always find a plugin to resolve your issue.